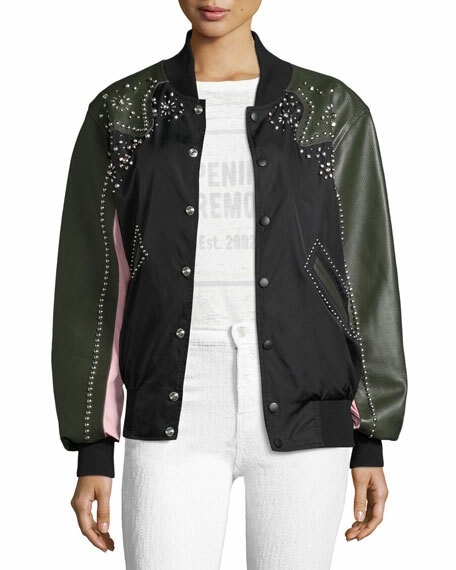 Opening Ceremony mixed-media varsity jacket with studded trim and embellishments. 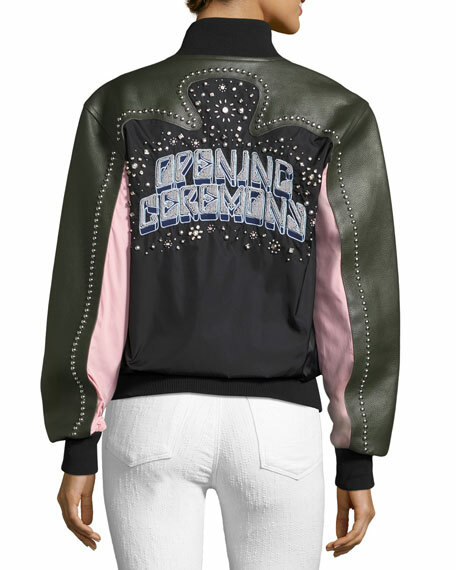 Cross-grain leather at top and sleeves. Beaded logo graphic across back. For in-store inquiries, use sku #2276302.